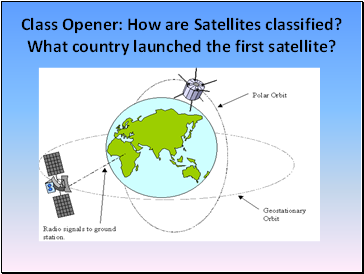 Class Opener: How are Satellites classified? 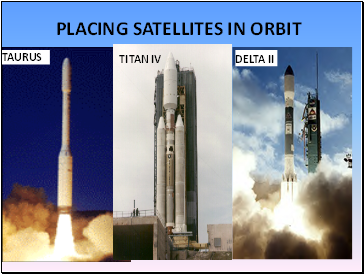 What country launched the first satellite? 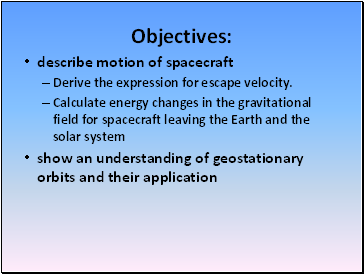 Derive the expression for escape velocity. 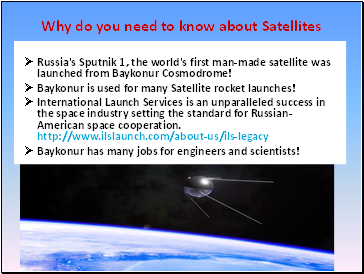 Russia's Sputnik 1, the world's first man-made satellite was launched from Baykonur Cosmodrome! 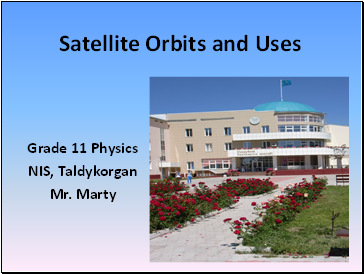 Baykonur is used for many Satellite rocket launches! Baykonur has many jobs for engineers and scientists! Revolution time: 90 min - 3 hours. Eliminates need for bulky receiving equipment. Shorter life span (5-8 yrs.) than GEOs (10 yrs). Subdivisions: Little, Big, and Mega (Super) LEOs. Orbit: 375 miles, 600 km. 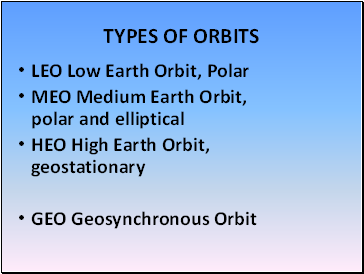 Concerns: Orbit decay from gravity and solar output. 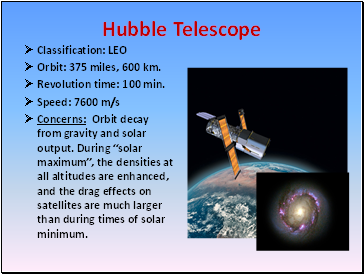 During “solar maximum”, the densities at all altitudes are enhanced, and the drag effects on satellites are much larger than during times of solar minimum. 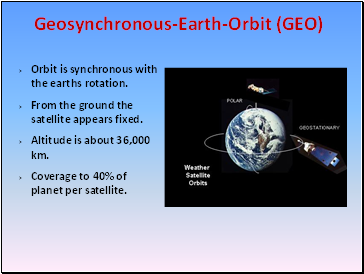 Orbit is synchronous with the earths rotation. From the ground the satellite appears fixed. Altitude is about 36,000 km. 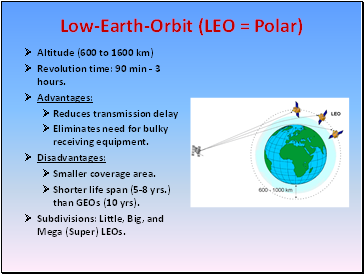 Coverage to 40% of planet per satellite.